WEST BOUND is a hard-hitting new rock band formed in the L.A. area by vocalist Chas West (RESURRECTION KINGS, BONHAM, LYNCH MOB) and renowned guitarist/producer Roy Z (BRUCE DICKINSON, HALFORD, TRIBE OF GYPSIES), with a line-up completed by Jimmy Burkard (guitar), Jason Cornwell (bass), and Dave “Chilli” Moreno (drums). Additionally, Stephen LeBlanc provides keyboards on the album and Brian Tichy (ex-WHITESNAKE, OZZY OSBOURNE, FOREIGNER) drummer/guitarist, played on and co-wrote two songs with Chas. WEST BOUND offers up their take on the classic hard rock sound with soulful vocals, a touch of the blues, and killer melodies. If you remember the great bluesy hard rock explosion from the late ‘80s and early ‘90s with bands like TESLA, CINDERELLA, BALANDS, TORA TORA, and SALTY DOG and enjoy the modern throwback hard rock like RIVAL SONS, MASSIVE WAGONS, INGOLRIOUS and the like, you are going to find WEST BOUND right up your alley. On the first single and video, Chas explains that “the song "Never Surrender" is one that Roy Z and I came up with in the studio. It’s about going through struggles in life and never giving up on your dreams. People can relate to it in their own lives…it’s a theme we all know as human beings. Sometimes the tough times can help you define your true character.” Watch the video for "Never Surrender" on KNAC.COM HERE. 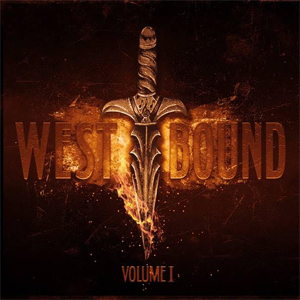 WEST BOUND’s debut album, Volume I will be released on February 22, 2019 on Frontiers Music Srl. The band is currently in the midst of planning tour dates to support the album’s release. Expect more news on that in the new year.